Many films spring to mind. 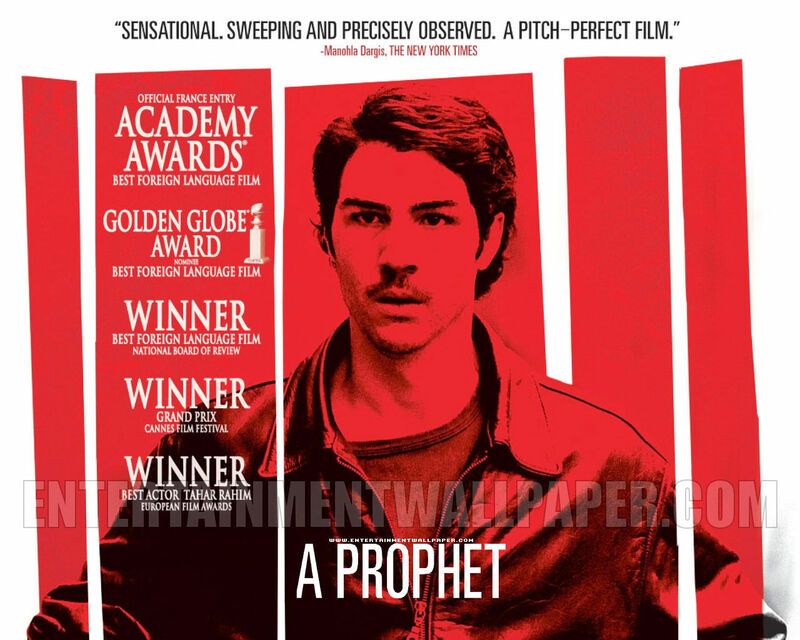 I have nostalgic choices and ones based on favourite performances (Dreyfuss in The Goodbye Girl, Cotillard in Rust and Bone, Shoenaerts in Bullhead), but the film that sucker-punched me on its first viewing is Jacques Audiard's A Prophet. It's a frontrunner in contemporary cinema and ruins me every time I watch it. I went to see it with a couple of friends who wrote it off as being "violent' and "too long". I got that it was brutal and relentless but at the heart of the film is triumph and defiance. Malik El Djebena's (Tahar Rahim) departure from timid to invulnerable is effortless; Rahim is staggeringly good in the role. His character would never have behaved the way he does were he not in prison, and because of that he emerges a hero despite the heinous things he's forced to do. And I love a broken hero. As an audience member the relationship between Malik and Cesar Luciana (Niels Arestrup) is terrifying but engrossing. From an actor's perspective the central performances are flawless. From a girl who grew up watching gangster movies it ticks that box too. 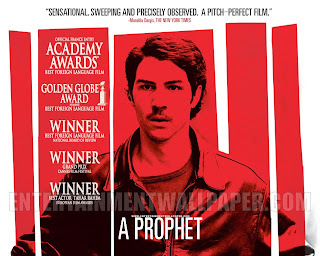 I'd seen Audiard's work before and been wowed, but, for me, A Prophet is his masterpiece. Audiard does't even use an overbearing score to manipulate us. Though I do always relish the burst of Nas in the kitchen/montage scene, reflecting Malik's change. The hero succeeds and the baddie crumples, which, after over two hours of anguish is just what the audience/me needs. The story, Audiard's understanding of what makes the perfect performance (I truly believe they are perfect) and the acute intimacy of the handheld shooting firmly cements A Prophet as my film to die for. Rebecca Callard is an English actress based in London. Her credits include The Borrowers, Robin Hood, The Grand and Blackout with Christopher Eccleston. Rebecca can be seen next year with Michael Smiley and Steven Graham in the film Orthodox (@Orthodox_film) and in Simon Stephen's (@StephenSimon) play Blindsided. You can follow Rebecca on Twitter here. My first review for Flicks and the City went live this morning. 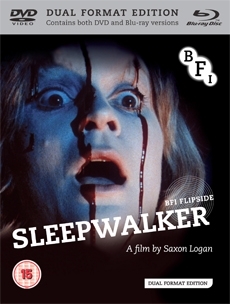 Click on the link below to read my views on Saxon Logan's 1984 horror satire Sleepwalker, released in dual format as part of the BFI's Flipside series. My monograph looking at Brian De Palma's adaptation of Stephen King's Carrie is now available to pre-order on Amazon. It's a privilege to have written a book as part of Auteur Publishing's Devil's Advocates series, and especially on a film that scared the living you know what out of me as a kid. If you would like to pre-order the book, click on the link below. Devil's Advocates: Carrie will be published on the 10th of October, 2013. It’s always tough to pick one thing and say 'Yeah, that’s my favorite'. Your response to works of art, more than anything apart from people, changes over time. You have to be careful not to select something merely because it struck a chord a long time ago, when you were a different person. 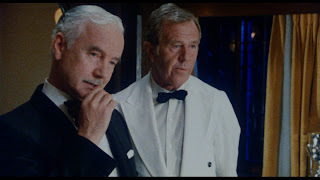 The movie I’m picking, however, suggested itself straight away, and partly because of longevity in my affections. I first saw it over twenty years ago; I most recently watched it just last week with my wife, who also holds it dear. 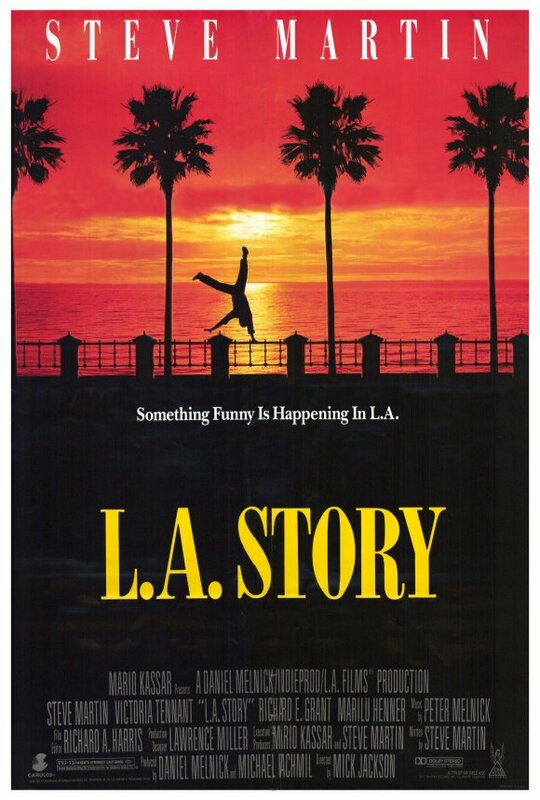 It’s L.A. STORY, a funny, sweet and very silly movie about Los Angeles, and love. Yes, it’s kind of daft and is now becoming something of a period piece (both LA and people’s clothes look resolutely early 1990s), but that’s part of what I love about it. That’s the period when I was first visiting the city, and the movie captures the era perfectly, the bright sun, dappled patios, the sense of possibility and the chance of quietly momentous change. 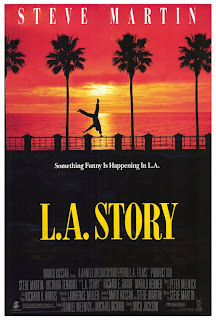 L.A. STORY is wistful and funny and romantic (not something I generally look for in my entertainment), and has stood the test of time for me in all departments. Not to mention that, in the shape of 'He can have the chicken' and 'Sorry, it’s my damned testicles' it’s produced two catchphrases that my wife and I are still using after two decades... to the utter bemusement of others. Michael Marshall Smith is a novelist, short story writer and screenwriter who also writes under the name Michael Marshall. His works include Only Forward, The Servants, The Straw Men and Killer Move. You can visit Michael's website here, and follow him on Twitter here.